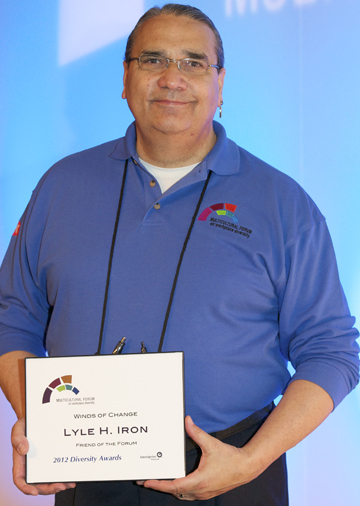 Lyle H. Iron Moccasin was one of four champions of workplace diversity that were honored during the 24th annual Multicultural Forum on Workplace Diversity, a conference on diversity and inclusion, which took place March 20-22 at the Minneapolis Convention Center. Lyle H. Iron Moccasin was given the Friend of the Forum Award. He is an enrolled member of the Cheyenne River Lakota of South Dakota. After growing up in Minnesota and New York City, serving in the U.S. Navy and the New York City police force, he returned to Minneapolis to work for the American Indian Opportunities Industrialization Center. During his employment at AIOIC, he has worked in juvenile justice, ex-offender, employment and education programs addressing the issues the American Indian community faces. 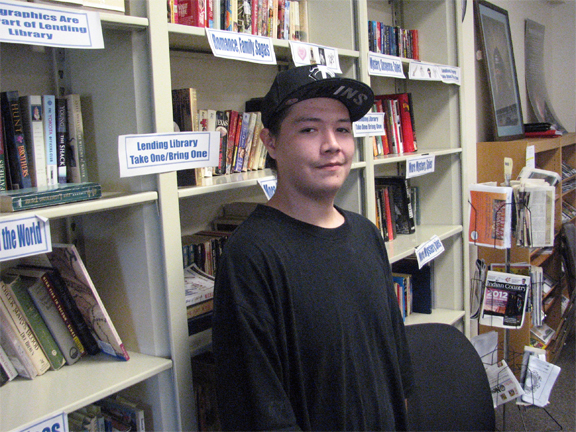 Since 2003, Iron Moccasin has been the Multicultural Forum’s guide for addressing the issues of displaced communities, the Native community and youth education and employment. The forum, presented by the Opus College of Business at the University of St. Thomas, is designed for professionals who manage a diverse workforce, are responsible for diversity within their organization, or work with a multicultural clientele. The diversity awards are given to individuals or organizations that show exemplary effort in addressing workplace diversity issues. Northwoods NiiJii, a nonprofit serving three Tribes: the Menominee Tribe, the Lac du Flambeau Band of Lake Superior Chippewa, and the Sokaogon Mole Lake Chippewa was awarded a grant in the amount of $14,000.00 through the Native Arts and Cultures Foundation to implement a convening and leadership program for Native artists from the Woodlands region. 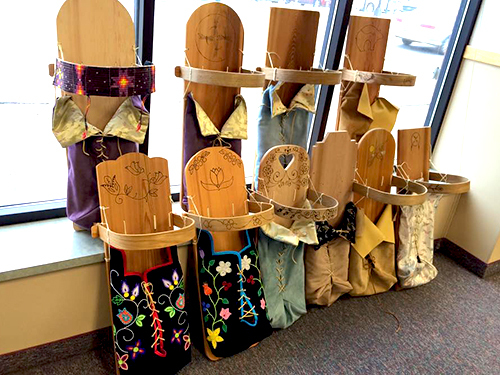 The Many Trails NiiJii Native Arts Gathering will be held in Lac du Flambeau at the Lake of the Torches Convention Center on May 18 and 19. It will bring together Native artists, arts organizations, administrators, and culture bearers from across the Woodland region for the two-day gathering. During the event workshops will be facilitated by Native artists and experts in the arts on topics such as; sharing best practices, funding opportunities, and leadership development. The focus of the gathering is networking and the exchange of knowledge, resources, and technical skills for Native artists, and relationship building between Native artists and organizations that exist to support Native artists including: traditional artists, writers and poets, musicians, performers, contemporary artists, emerging artists, illustrators, designers, and others. Featured presenters at the gathering include: Lori Pourier with First Peoples Fund; Heid Erdrich, award winning poet and author; Elaine Miles, comedian and star of "Northern Exposure"; and many others. The general public is welcome to attend the Native Arts Market from 4:30 – 6:30 at the Hall of Nations Lake of the Torches Convention Center. Artists from around the Woodlands region will have beautiful artwork for sale. Lake of the Torches Convention Center, 510 Old Abe Road, Lac du Flambeau, WI. The workshop is free. Native artists should reserve their spot by calling 715-588-1514 or going online to: www.NiiJii.org/events.html. Playwright, Rhiana Yazzie is one of four new community liaisons recently hired by the Minnesota State Arts Board to reach out to communities of color. Yazzie’s goal is to get more Native American community members to apply for funding for their artistic and creative projects, in all areas of the arts. She is encouraging Native community members to contact her with questions about applying for a grants. For the first time, the liaisons will be using Facebook as an additional means to get the word out to communities of color. Their Facebook page is named MN-State-Arts-Board-Community-Liaisons. Yazzie’s primary goal as a liaison is to reach Native American community members who have never submitted an MSAB grant before, and to connect with those who have been unsuccessful grant applicants in the past to strengthen their submissions. She is hoping to travel through Minnesota’s 11 reservations to hold informational workshops and to encourage creative Native people to use the resources of the State Arts Board. Interested parties who have questions, or would like her to come to their community or organization to hold a workshop can contacted her at Rhiana.Yazzie@arts.state.mn.us, or by calling 800-866-2787.